I often find myself in situations where the company or group I'm working with on improving their electrical safety systems believe that the solutions will come from new equipment. While I can't argue that certain types of electrical equipment can improve the working conditions and limit the amount of exposure to electrical hazards I still believe that the most important part of any safety initiative is its people. 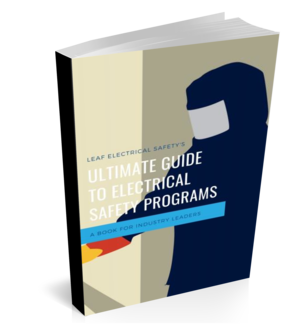 In this article, I'll look at why people need to be trained and committed to electrical safety regardless of the equipment they are working with. "Locks will only keep out the honest people"
When I first started my career I was fortunate enough to spend some time with a senior engineer who was contracted to the site I was responsible for. Our first big job was to coordinate the transport of a 15kV oil-filled transformer from an old mine site to a newer one. I can remember sitting in his truck discussing the value of having locks on so many things, like the gate to the main sub when he turned to me and said, "Locks will only keep out the honest people", and admittedly I think he had a good point. Whether it's the shed in your backyard, or even your front door if someone wants to get in he or she probably can. That is were locking mechanisms, interlocks, kirk keys, and basic personal locks fall short. Not that I'm saying your organization is full of dishonest people, but if the people onsite don't have an issue in defeating interlocks to get a job done, removing locks without following a thorough process, or deciding to do the job live then those devices aren't really doing much. This next thought is often overlooked. When designing an electrical safety program people tend to look at the big shiny objects as opposed to the small straightforward actions that will have a big impact. For me, arc-resistant switchgear is an example of a big shiny object. Sure, it's great stuff an effectively drops the incident energy to zero (when the doors are closed) but when you look at the frequency of work that happens on switchgear compared to something like a 30 amp disconnect it just doesn't stack up. Companies are using very high percentages of their resources to install this type of equipment and then have little left over or are just not realizing that the resources should also be spent elsewhere. If you were to take all those resources and use it for additional training or the implementation of a safety initiative like "establishing an electrically safe work condition" you'd probably be much better off in the long run. I hope you got something out of this today. I'm really just getting back into the groove of weekly writing. I've been busy working on our new website as well as some other projects like our electrical safety simulator, where we use real-life scenarios for the user to explore and familiarize themselves with electrical safety concepts.